Don’t miss this very Special Happy Hour Reception Honoring Seth Meyers Followed by a Conversation with Robert Kovacik. 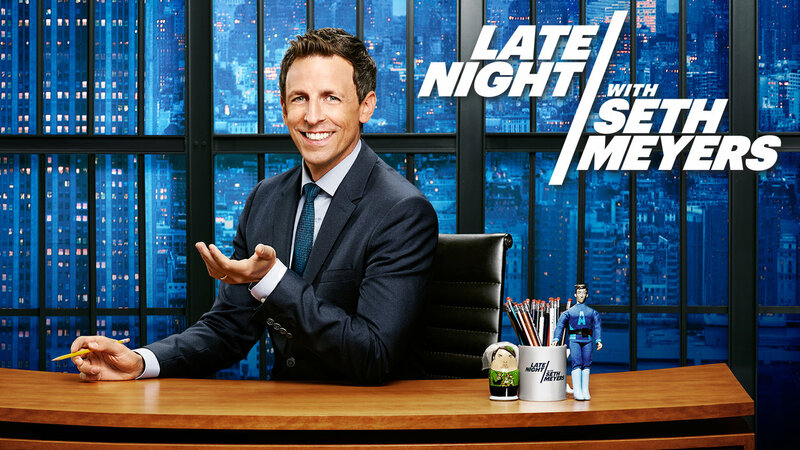 Seth Meyers will be with us from 3:30-5:30 p.m. and will sit down for a conversation with Press Club President Robert Kovacik, Anchor/Reporter at NBC4 Southern California directly following the reception. Meyers is an Emmy Award-winning writer and current host of “Late Night with Seth Meyers.” Meyers was named one of the 2014 “Time 100,” Time magazine’s 100 most influential people. Meyers also hosted the 66th Primetime Emmy Awards. Meyers began his TV career with “Saturday Night Live” in 2001, where he was a cast member for 13 seasons. Meyers acted as head writer for nine seasons and “Weekend Update” anchor for eight seasons. In 2011, Meyers won the Emmy for Outstanding Original Music and Lyrics for host Justin Timberlake’s musical monologue. Meyers also garnered 10 additional Emmy nominations for his work as a writer in television. The Comedian, Writer, Producer, Political Commentator, Media Critic and Television Host will receive the LA Press Club’s first “Friend of a Free Press Trophy”. Space is very limited, so you want to R.S.V.P. right away. PARKING: Free, enter from N. Berendo St.
We will be live-streaming the event on our Facebook page. For live tweets, follow us on Twitter.